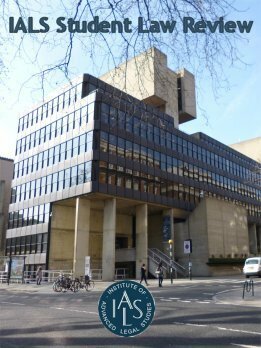 The Institute of Advanced Legal Studies (IALS), School of Advanced Study at the University of London is pleased to announce its inaugural IALS Student Law Review and invites applicants to submit their papers. The IALS Student Law Review will be an open-access journal publishing scholarly articles or developing work format and will focus on legal studies within the main expertise of IALS. The unique offering of the IALS Student Law Review is that it allows for publication on multi-dimensional legal studies. In addition, it proactively encourages analytical and comparative studies. Papers that investigate legal issues from single or multiple vantage points whether topically or jurisdictionally are equally welcomed, as are papers examining law-related interdisciplinary work. Contributions from all areas of the law are welcomed.